Good news for the math challenged. While a large portion of your SAT score depends on your math performance, there is no math section on the LSAT. The only math you might encounter on the LSAT is one or two questions that require you to understand the interaction between percentages and numbers. The SAT also includes a multiple-choice writing test that you won’t find on the LSAT. The SAT and LSAT both include essays, but the essay portion is optional on the SAT and not scored on the LSAT. To learn more about the LSAT essay, check out these past LSAT writing sample topics. Both the LSAT and the SAT include sections that test reading comprehension by presenting brief passages followed by question sets. While the LSAT questions are arguably more difficult than SAT reading questions, they similarly ask you to analyze language, tone, and structure of different types of passages. Neither test requires you to have any knowledge of the subject matter presented in the reading passages. The LSAT also includes a couple of sections you won’t find on the SAT. Half of your LSAT score is determined by a logical reasoning test that asks you to analyze short arguments. 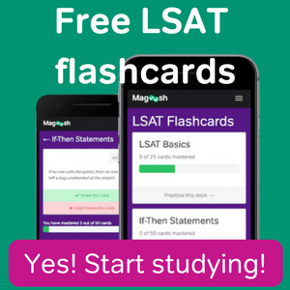 The LSAT also includes one section of logic games (also known as the analytical reasoning section) that tests your ability to make inferences and apply a set of rules to a given scenario. Logical reasoning and logic games are unique to the LSAT, and you won’t find them on other standardized tests such as the GRE or GMAT. The SAT has a scoring scale from 400 and 1600 (200 to 800 for each section) while LSAT scores range from 120 to 180. Both tests use raw scores that are converted to scaled scores that can be used to compare your score on the exam with students who take the test at a different time. (Check this out for a detailed explanation of the difference between a raw score and a scaled score.) 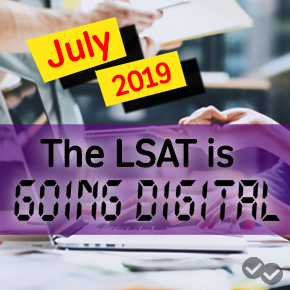 Additionally, both the LSAT and the SAT (as of March 2016) calculate your raw score by adding up the number of questions you answer correctly and do not take any deductions for wrong answers. On both tests, you should fill in an answer for every single question…even if you are clueless about the right answer. If you are a strong standardized test taker, you are likely to also perform well on the LSAT, but the skills tested are likely different from anything you have seen before. To get an idea of the specific types of concepts you will see on the LSAT, take a crack at some LSAT practice questions and see how you do. How does LSAT Scoring Work? Carey has an undergraduate degree from the University of Houston and a law degree from Harvard Law School. She scored in the 99.9th percentile on the LSAT and has been helping students succeed in their LSAT prep for the past 8 years. In addition to teaching the LSAT, Carey has held jobs as a Harvard economics instructor, a big-firm lawyer, a realtor, and a federal judicial clerk. However, her current lofty goal is mastering the NYT crossword puzzle.